In its second annual round, Doum national storytelling festival presented 27 storytelling troupes in Qena, the cradle of storytelling in Egypt. The brainchild of renowned writer Khaled Al-Khamisi, Doum culture foundation took the initiative to revive the art of storytelling in its place of origin. Hence the festival was held in numerous independent cultural foundations such as Tanwira, which held some performances at local cafes like the jail café, facing the Qena jailhouse. The festival this year honored Hassan Al-Geretly, the pioneer and preserver of storytelling and folk heritage via Al-Warsha, Egypt’s first independent theatre troupe. The performances that Al-Warsha presented included The world in a nutshell by the renowned storyteller Arfa Abdel Rassoul. "Have recent Egyptian revolutions really matched up to real revolutions or were they all just Hoga, (riots) since the time of Ahmed Oraby, who revolted against the British occupation of Egypt in 1882?" 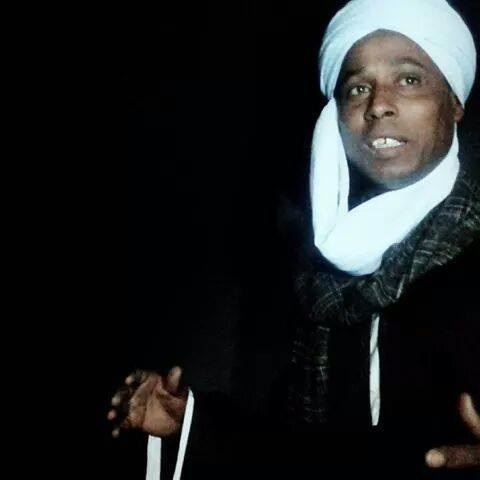 Such were the questions that Al-Madina storytelling troupe from Alexandria governorate raised in their stories that were based on the “Al-Hoga” play by famous Nubian author Haggag Addoul. “The play features an Egyptian revolution that started during the Mameluk era because of a dancer,” explained Ahmed Saleh, a member of Al-Madina troupe. Saleh added that the performance took on new forms of storytelling such as folk games, and follows the water seller from door to door as he satires on political figures, while searching for the dancer. On a parallel note, the folk story of Shafika and Metwali was among the hits at the festival. Teletwar troupe from Minya governorate gave the story a legendary flair as they added to their performance a magnificent snake that wants to control the Nile River. To Zakaria Tag El-Ser, the Nubian artist who was part of the performance, the Nile rhythm taught him how to be a singer and a storyteller. 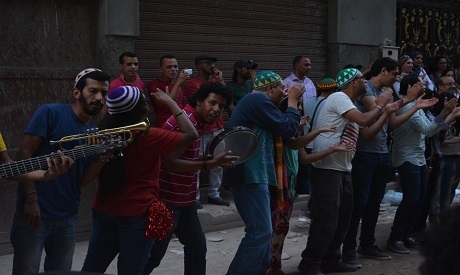 The performance questioned the fate of crushed Egyptians who are facing their destiny alone. Against a tyrant ruler who takes Metwali’s sister by force as one of his Harims and leaves Metwali to face the serpent that controls the Nile. The performance harks back to the story of the great Coptic saint Mary Gergis, who had to face the dragon alone.